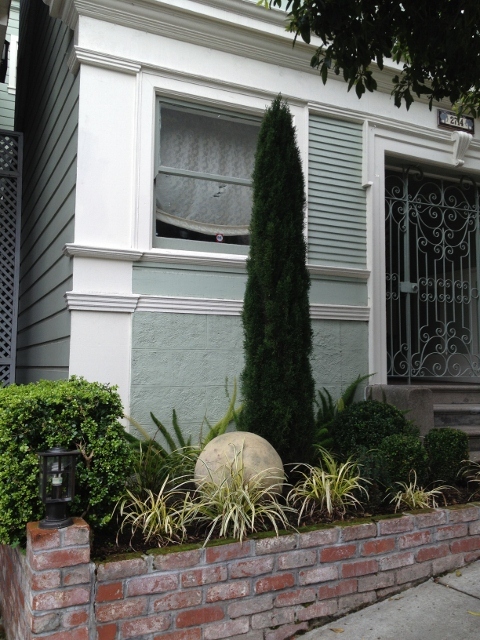 A small space held together by moss-covered bricks, and filled with an array of green plants – sculpted tufts of Buxus, asparagus fern, Italian cypress, liriope. Very classic, sure, but this relatively simple design is catapulted into the realm of “way more interesting” by the simple addition of a ceramic ball (no, it’s not a giant puffball mushroom). 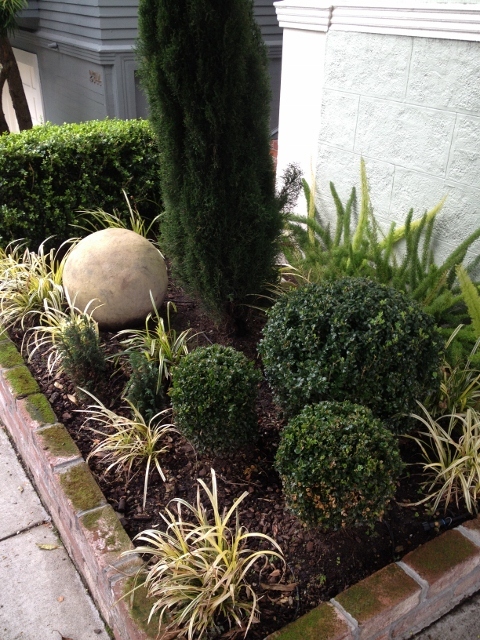 This unadorned sphere adds a modern, sculptural dimension to a timeless garden palette. A reminder that sometimes what is missing from a design isn’t another plant in another color, texture, or cultivar, but rather, an inanimate artifact to complement and enhance the living elements.